David Attenborough celebrates the life of bird impersonator Percy Edwards. With Philippa Forrester and Bill Oddie. From March 2009. David Attenborough hosts a celebration of bird impersonator Percy Edwards, who enjoyed a 70-year career impersonating birds and beasts. The programme combines the strange story of Percy's life with archive of his impersonations, interviews with those who knew him and a quiz. Guests include Bill Oddie and the comedian Alex Horne. Percy Edwards discovered his talent for talking like animals when he was seven. Dozing under a tree, he heard what he thought was a wolf-whistle and discovered that it was a bird. For several weeks, Edwards kept hearing this greenfinch and found that he could imitate it. He even took to eating canary seed before going to bed in the hope that he would wake in the morning singing like a bird. Eventually Percy was able to produce the sound of more than 600 birds, and some other animals. His was the voice of the killer whale in Orca, the alien in Alien and he provided sheep noises for Kate Bush's song The Dreaming. Percy took to the stage aged 11, was a stalwart of the Generation Game in the 1970s and gave his final performance aged 80 at the London Palladium in 1989. His repertoire was extraordinary - all 13 calls of the chaffinch, the strangely grinding sound of the amorous capercaille and corgis barking in Welsh accents. 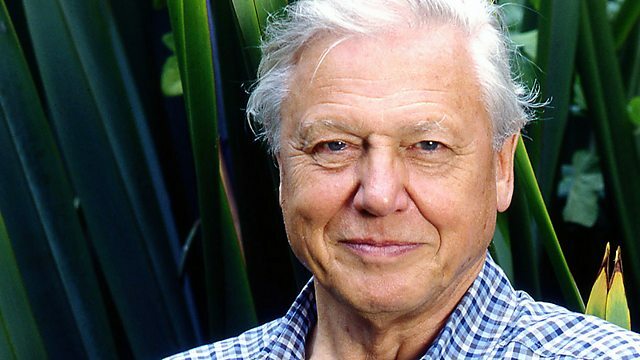 Quizmaster David Attenborough plays bird calls for the teams to identify, some of which will not be the birds but Percy's impressions - can they tell the difference? Woven into the rounds will be snippets about Percy's life from the BBC archive, including appearances on Parkinson, Wogan and Morecambe and Wise, revealing the importance of his work in raising the public's awareness of wildlife and the significance of his role as an ornithologist.